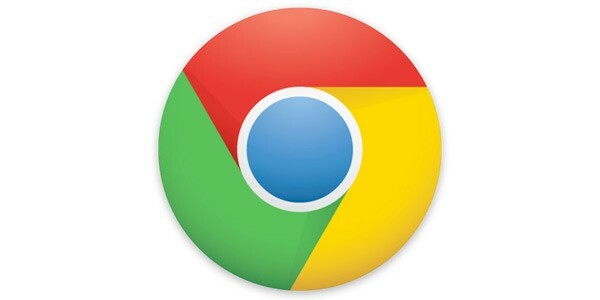 Google on Thursday patched six vulnerabilities in Chrome, and as usual, silently updated users' copies of the browser. The update to Chrome 10.0.648.204 also included two more blacklisted SSL certificates that may be related to last week's theft of nine digital certificates from a Comodo reseller. All six bugs were rated "high," Google's second-most-serious ranking in its threat scoring system. Of the half-dozen bugs, two were "use after free" flaws -- a type of memory management bug that can be exploited to inject attack code -- while a second pair were pegged by Google as "stale pointer" vulnerabilities, another kind of memory allocation flaw. As is Google's practice, the company locked down its bug-tracking database, blocking access to the technical details of the patched vulnerabilities. Google usually unlocks the bug entries several weeks, sometimes months later, to give users time to update before the information goes public. Google paid out $8,500 in bounties to three different researchers for finding and reporting the six vulnerabilities. So far this year, Google has cut bounty checks totaling $58,145. Frequent-contributor Sergey Glazunov took home $7,000 for reporting four of the bugs patched Thursday, bringing his 2011 bounty total to $20,634. Glazunov has become the most prolific of the independent researchers who specialize in rooting out Chrome flaws, reporting 14 of the 54 bugs attributed to outsiders. Yesterday was the sixth time Google patched security vulnerabilities in its browser this year. Google said the update also added support for the browser's password manager on Linux, and included performance and stability fixes. According to the Chrome change list, it also blacklisted two additional SSL (secure socket layer) certificates, the digital certificates that encrypt traffic between users and sites. The additions to the SSL blacklist may be connected to last week's theft of several certificates from a Comodo reseller, an event that prompted Comodo to revoke the stolen certificates. Since then, Google, Mozilla and Microsoft have each issued updates -- Google was the first off the mark -- to block the certificates and warn users if they tried to connect to fake sites. Comodo has cited circumstantial evidence that points to Iran, perhaps the Iranian government, being involved in the certificate theft. Google did not immediately reply to questions Friday about whether the newest additions to Chrome's blacklist were related to the Comodo theft. Chrome 10 can be downloaded for Windows, Mac OS X and Linux from Google's Web site. Users already running the browser will be updated automatically.